Save an extra 5% on Merax. 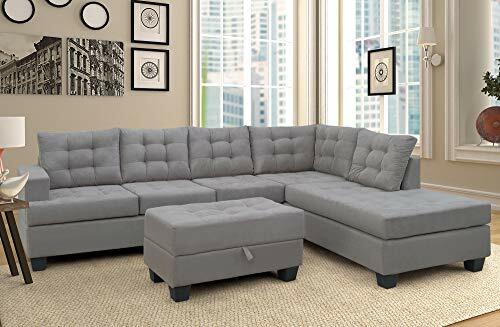 Sofa 3-Piece Sectional Sofa with Chaise and Ottoman Living Room Furniture,(Gray) by Harper&Bright Designs with this coupon code. This coupon code valid through April 9, 2019 or while supplies last on Amazon. Discount applies at checkout. 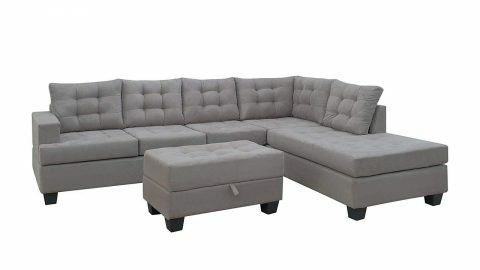 This is our modified version of the original sofa, our ottoman adds storage function. Constructed with sturdy hardwood and inner spring for stability and durability. Overall dimensions: 104.7"L x 88.58"W x 30.9"H.(Detailed size information can be found in the product picture.) Simple assembly is required, all hardware and tools are included. NOTE:Before placing your order,please make sure your SHIPPING ADDRESS&PHONE NO.are CORRECT,before delivering, CARRIER WILL CALL YOU to confirm the specific delivery time and someone needs to be available to SIGN FOR IT. In addition, we will email or call you to confirm your shipping information, please reply to us ASAP to get early shipment . Once confirmed , we will call the truck and ready to ship for you. If you need to cancel after confirming, we will charge $25 for handling fee. Thank you!